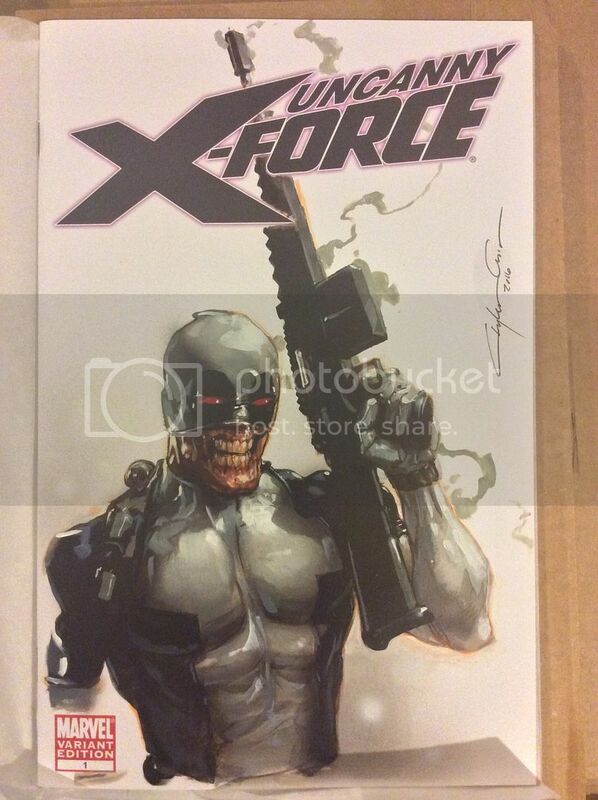 Clayton Crain. It's impossible to find original art from him because he does most of his work digitally. I've been waiting several years on his commission list but it was totally worth it. So rad!!!! Hella fine pick up!! This piece's not mine, but I just happen to found it and it's so cool you'd like to see it! 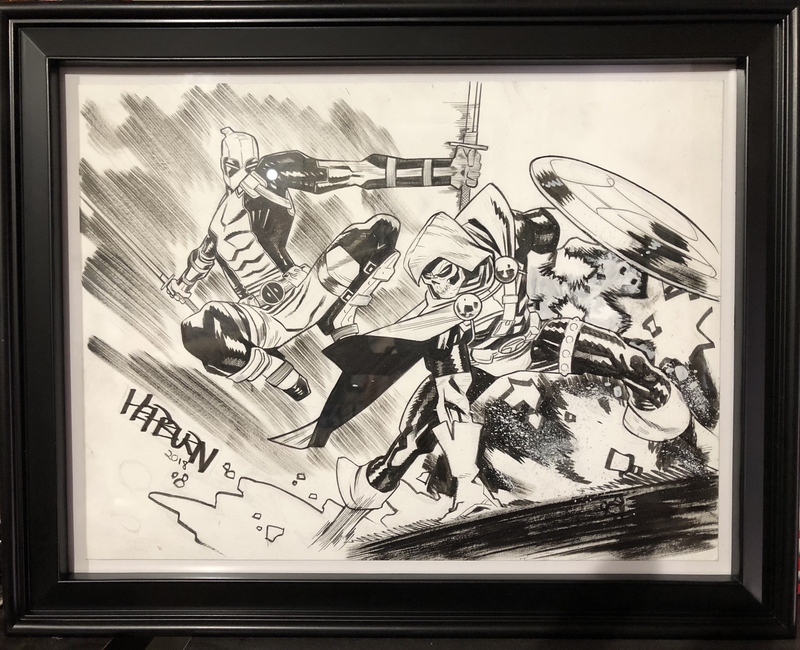 Done by the great Rafael Albuquerque, who's the man posing with it. It’s time to revive this thread with a biggie! 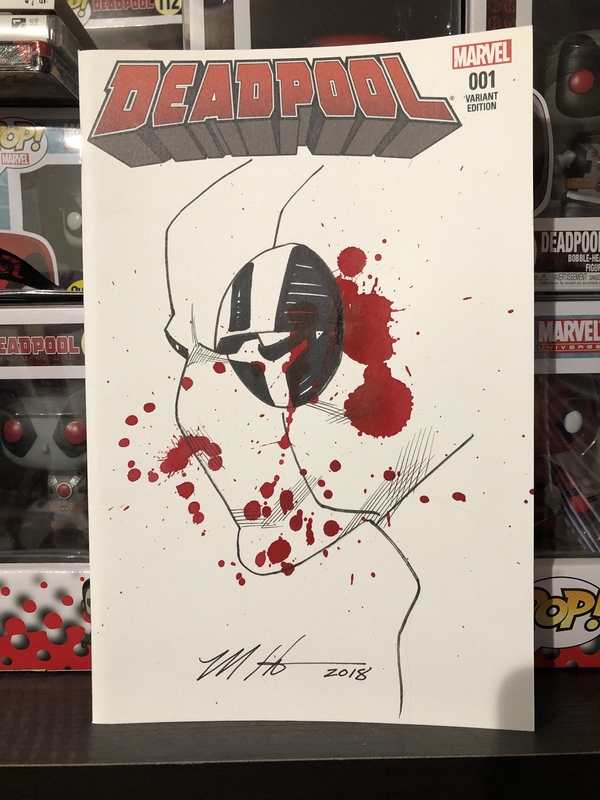 I was recently able to commission Mike Hawthorne! 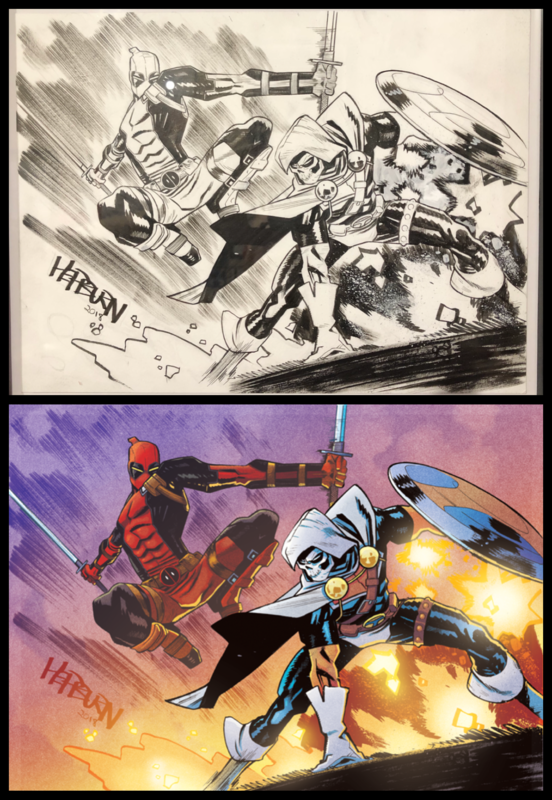 I requested my favorite battling duo, Deadpool vs. Taskmaster. It turned out amazing! 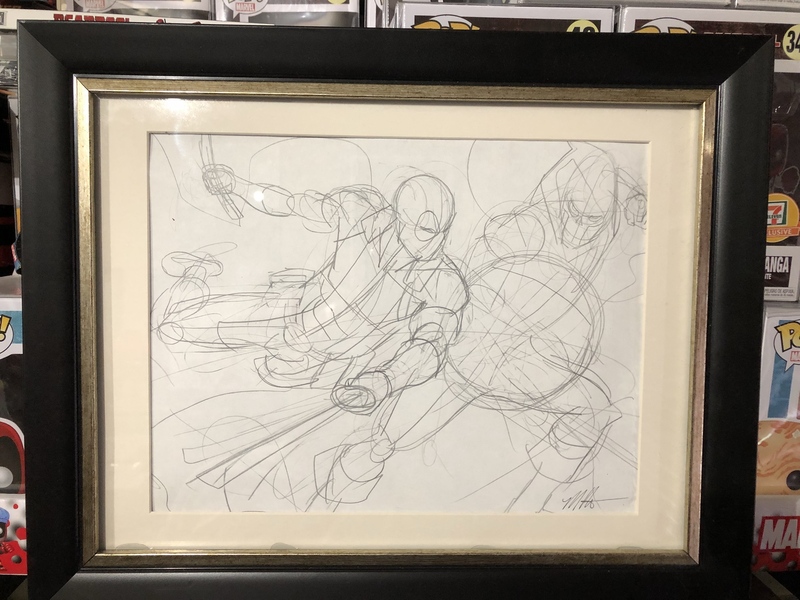 He also sent me the original sketch mock up for the art. Also, being the great guy that he is, Mike let me know that the center page of the comic had come loose from the staple while he was working on the cover. He decided to send me an extra head sketch to make up for it. Mike is an awesome artist and an excellent human being! Now to get this baby scanned in and off for color. Mike really is an excellent person. You can tell just through how he expresses himself on social media. That's very awesome of him to do. Yeah, I have the same perception about him. And very humble, too. I happened to saw the drawing some days ago in Mike's account lol. Happy to know its yours! Über good-looking framed. 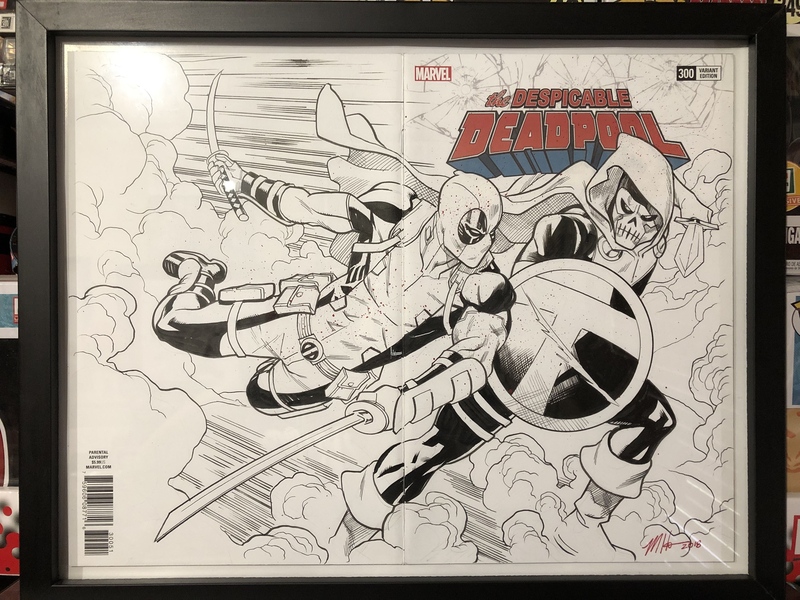 My newest commission from current DP artist Scott Hepburn. Love it!!! Hepburn piece colored by Chris O’Halloran. They worked together on Spider-Man Deadpool.